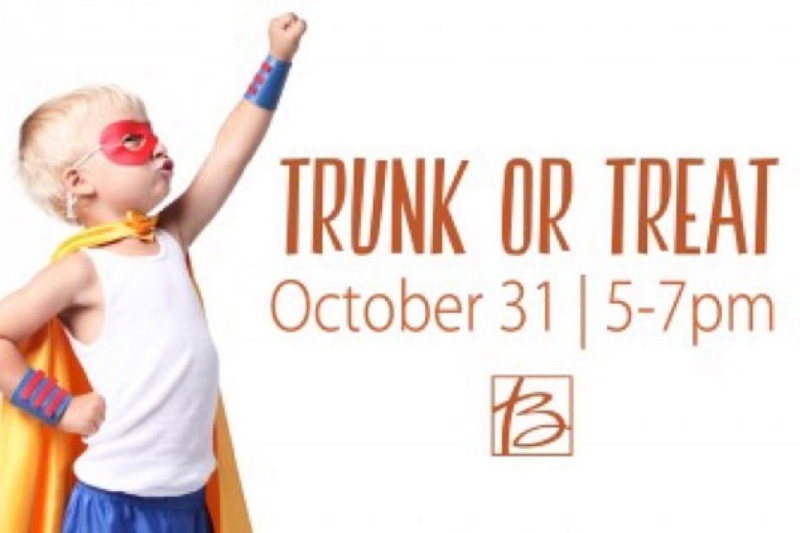 This year our church (Bethany Church in Broken Arrow) is hosting a Trunk or Treat on Halloween from 5-7pm and I'm so excited! It is truly one of my favorite holidays. Maybe because it is low stress and community driven. We were put on the decorating committee and we got to work this week. 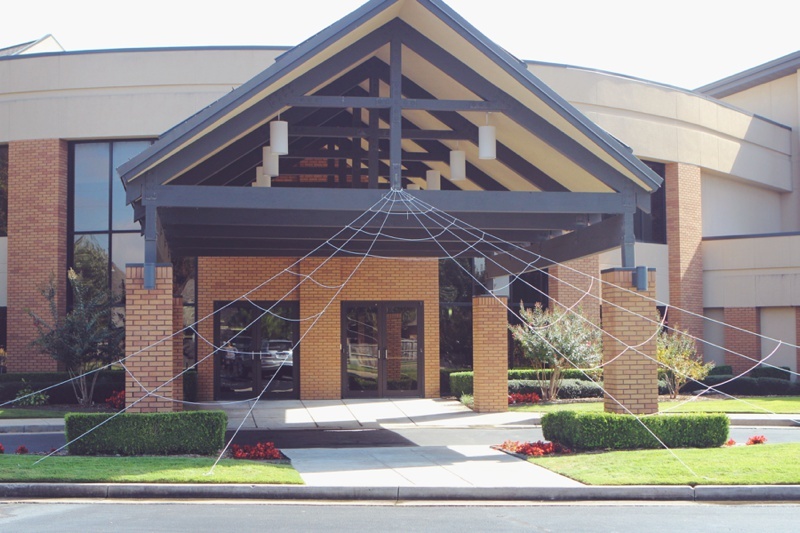 The first thing we made is a Gigantic Spider Web. They sell similar ones for under $25 I think on Amazon for your house that comes with a gutter hook. But we needed something specific for the church. 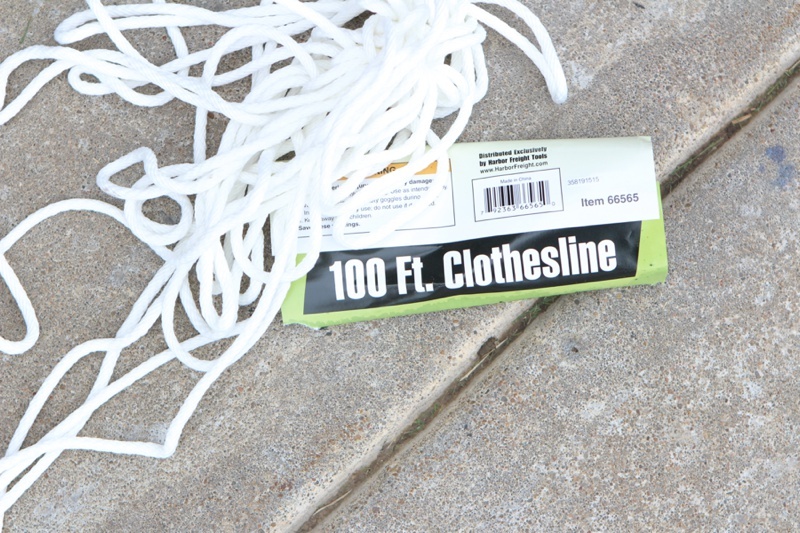 We used nylon rope, tent stakes, a hammer ,and a ladder and came up with this. I think it looks great an in person is huge. 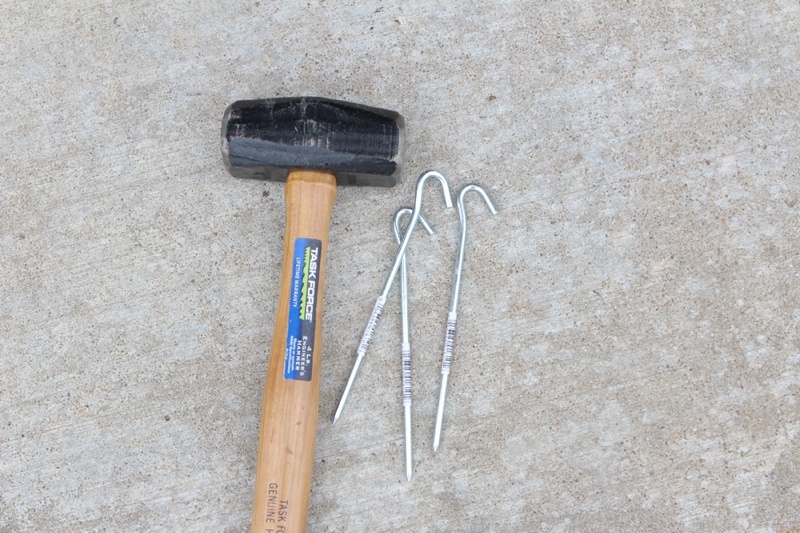 The price was about $15 for the rope and stakes. Next up are the spiders. The more the merrier we think. If you want to recreate this we tied a small string at the top and then tied off ropes on that string and decided where we wanted it to end and tied it to a tent stake that we drove in the ground. 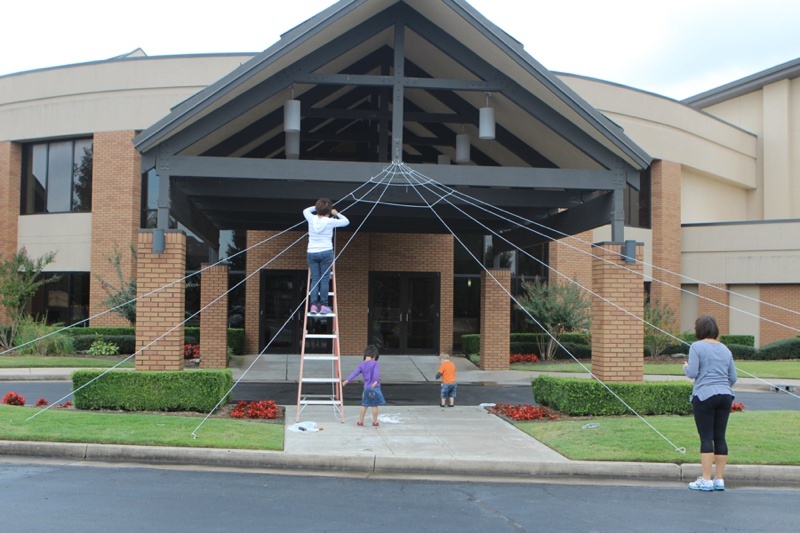 After all the vertical ropes were in place we tied (double knotted) ropes across to make the web look.